Kovair offers over 80 off-the-shelf multi-vendor ALM and IT tool adapters and plugins for integration support. These adapters and plugins can help to extend the integrated development environment that is created by integrating different ALM tools to Omnibus. 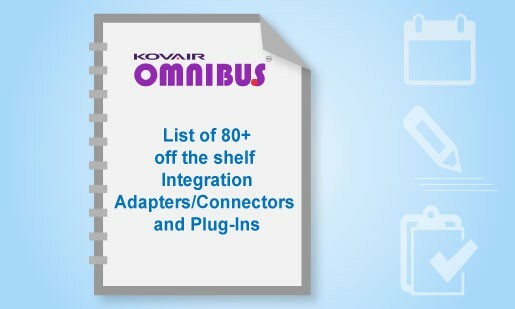 Using Omnibus and respective tool API, Kovair adapters can expose all major artifacts and related attributes of one tool to other tools facilitating an end-to-end traceability across the product lifecycle. Users can also fetch data, pass events, and perform actions on other tools through these adapters. Kovair plugins facilitate complete IDE management by allowing users to add, view, and edit artifacts in other connected tools directly from the IDE.